Even if we would start now it would take twenty years to replace and standardize our system. A start would be to look and see how many are the same or similar. Look to see which areas are not critical, and if they have working transformers, take them from there and move them to areas of critical need. The areas that provide power are most critical. the refineries are primary and the docks that import oil and food. Coal production for power production and home heating are other critical areas. prioritizing where the power goes first is critical. Air travel other than emergency should be grounded. Cars that use gasoline should be limited to ten miles a week, diesel limited to fifteen miles for personal cars and trucks. This leaves people the ability to get to the market and doctor. Air conditioning will not be allowed. manufacturing other than food production is stopped lawns are not to be cut. This would be a start to limit power consumption. 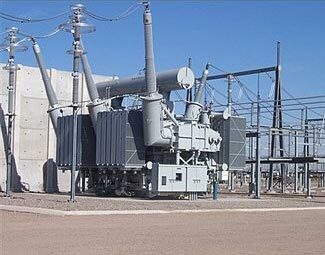 With knowing all the transformers that are interchangeable, larger areas and the most critical areas can be restored quickly. Areas that could survive with less power consumption could remove some transformers and put them in areas of need. Areas with uncompilable transformers could be engineered. Next the switch gear needs to be standardized and the parts replaceable and rebuildable. All this is easy to say on paper but the actions needed are extensive and difficult. The costs could never be absorbed by all the power companies. Because this is part of national security our government as much as I hate to admit it needs to get involved and step up. If the whole grid goes down from the super transformers being ruined, it’s not even as simple as ordering them, shipping them, and installing them for things to get back to normal. The dollar will immediately collapse, so what money will we use? But even more important than that is that the chaos of a collapsed society will make it very hard to get any grid back to normal. Cities will be burnt to the ground. Many of the people that survive will move out of homes. A mutual sense of security will be lost, so getting qualified power plant workers back to their job will be impossible. Regional war lords will rise up and potentially cause problems. Getting the transformers to the interior of the country would be too hard. The best thing will be to set up military ports and start electrifying there and gradually work towards the interior as things settle. I’m guessing most of this will be done by our military which is currently overseas (or out at sea). And all this is only if the outage was North America alone. If it was a CME/sun storm that knocks out power grids worldwide, then just forget about it–dark ages part 2.